In the great oral tradition of the Lakota people, author Joseph M. Marshall III shares the compelling history of a man, a tribe, and a legacy of courage and endurance. Tasunke Witko, or Crazy Horse, as he is often remembered, brought the U.S. Army to its knees in 1876. His valor and leadership elevated him to legendary status among Native American people; in this riveting biography, Joseph Marshall (himself a Lakota Indian) combines firsthand research and a rich oral history to offer a fully-faceted portrait of the spirited warrior and revered hero, and a profound celebration of an enduring culture. When Marshall was a child, his grandfather and great uncles would tell vivid tales of the Battle of Little Bighorn as if the decisive battle had happened only the day before; his research for this book included in-depth, lengthy conversations with elderly storytellers who describe details and perspectives that could only come from firsthand accounts. 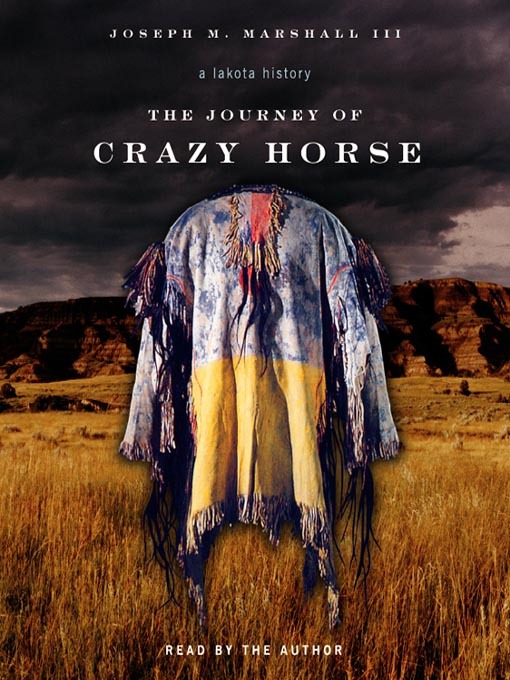 The Journey of Crazy Horse is a unique opportunity to hear legends of a great man as they have told for generations-and rarely shared outside the Native American community.